When you're wandering through the endless forests of Norway you need a jacket that's robust enough to withstand harsh treatment. Close encounters with dense undergrowth and rocks and the abrasion caused by the straps on your trekking pack take their toll on the fabric of your jacket. 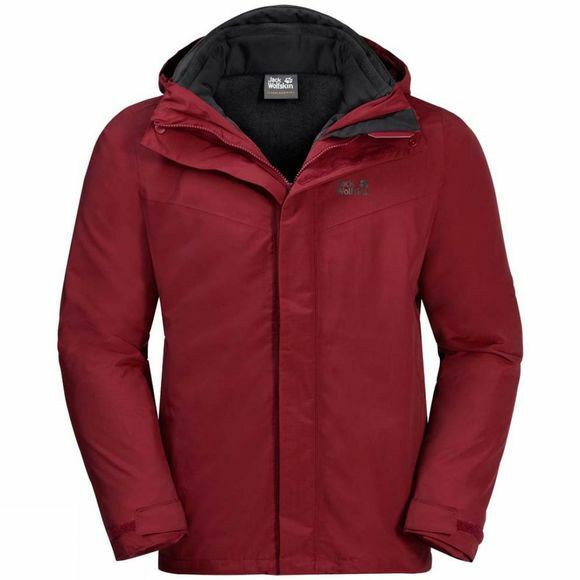 The Mens Three Peaks Jacket is designed to cope. The Texapore Ripstop fabric is extremely tear resistant. It will keep you dry in wet, stormy weather and is so breathable that you'll feel fit and fresh all day long. The jacket has a simple, stripped-down design. And if you're planning a walking trip for the autumn or winter months, you can zip in any compatible fleece or quilted jacket from our range and upgrade the Mens Three Peaks Jacket to a four season option.